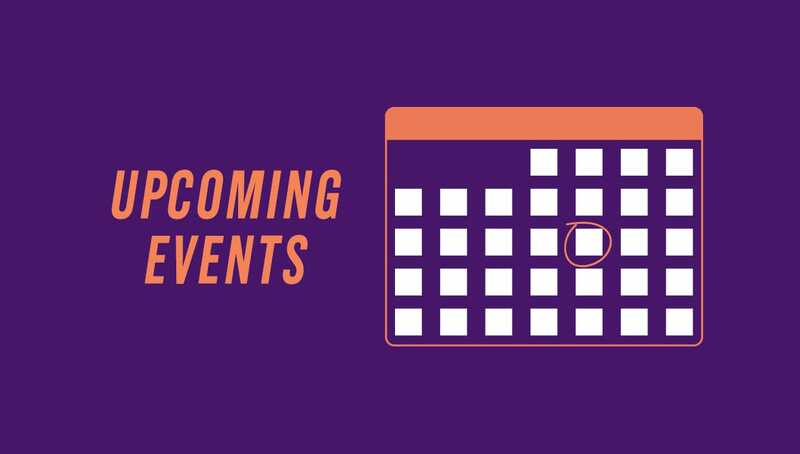 The University of Scranton announces calendar of events for September 2018. Sept. 1 6:30 p.m. Performance Music: Pre-concert MusicTalk; 7:30 p.m. “In Concert” with Loren Schoenberg and the National Jazz Museum in Harlem All-Stars present “Tribute to Prez: The Life and Music of Lester Young,” featuring The Michael Kanan Quartet, with saxophonist Larry McKenna. Houlihan-McLean Center. Free. Call 570-941-7624 or email music@scranton.edu. Sept. 6 11:30 a.m. Celebration of the Mass of the Holy Spirit for members of the University community. Byron Recreation Complex. Call 570-941-7401 or email info@scranton.edu. Sept. 7 through Oct. 5 Art Exhibit: “Liquid Earth: Contemporary Cast Iron Sculpture.” Hope Horn Gallery, Hyland Hall. Free during gallery hours. Call 570-941-4214 or email darlene.miller-lanning@scranton.edu. Sept. 7 5 p.m. Gallery Lecture: “Liquid Earth: Contemporary Cast Iron Sculpture” presented by Darlene Miller-Lanning, Ph.D., director, Hope Horn Gallery, The University of Scranton. Pearn Auditorium, Brennan Hall. Reception follows at the Hope Horn Gallery. Held in conjunction with Scranton’s First Fridays. Free. Call 570-941-7624 or email darlene.miller-lanning@scranton.edu. Sept. 7 7:30 p.m. Performance Music: “In Recital” featuring guitarist Matt Munisteri. Houlihan-McLean Center. Free. Call 570-941-7624 or email music@scranton.edu. Sept. 11 11 a.m. Volunteer Fair for area nonprofit agencies offering volunteer opportunities for students. McIlhenny Ballroom, DeNaples Center. Pre-registration required. Call 570-941-7429 or email ellen.judge@scranton.edu. Sept. 12 5:30 p.m. Interdependence Day Lecture: “Interdependence and Civic Activism” with panel discussion and reception. Rose Room, Brennan Hall. Free with registration. Call 570-941-7520 or email linda.walsh@scranton.edu. Sept. 13 7 p.m. Ignatian Values in Action Lecture. Keynote speaker: James O’Connell, Ph.D., assistant professor of medicine, Harvard Medical School, and founding leader of Boston Health Care for the Homeless Program. Byron Recreational Complex. Free. Call 570-941-7659 or email teresa.grettano@scranton.edu. Sept. 14 11 a.m. Town Hall. Keynote speaker: James O’Connell, Ph.D., assistant professor of medicine, Harvard Medical School, and founding leader of Boston Health Care for the Homeless Program. Loyola Science Center, room 133. Call 570-941-7659 or email teresa.grettano@scranton.edu. Sept. 15 8:45 a.m. Schemel Forum “University for a Day.” Topics discussed: “The Real Road to Serfdom;” “Monumental Questions: Race, Memory, and Monument in America Today;” “The Supreme Court at the Intersection of Law and Politics;” and “An American Art Story: 1880s to 1920s.” Pearn Auditorium, Brennan Hall. Registration required. $25. Call 570-941-6206 or email alicen.morrison@scranton.edu. Sept. 18 Noon. Schemel Forum’s Munley Law World Affairs Luncheon Series: “Why College?” presented by William M. Sullivan, Ph.D., senior scholar at New American Colleges and Universities and visiting professor at the Center for the Study of Professions at Oslo Akerskhus Universities in Norway. Kane Forum, Edward Leahy Hall. Registration required. Fees vary. Call 570-941-6206 or email alicen.morrison@scranton.edu. Sept. 21-23 The University of Scranton Family Weekend 2018. Various campus locations. Call 570-941-4222 or email familyweekend@scranton.edu. Sept. 21 11 a.m. Inauguration Ceremony of Scott R. Pilarz, S.J., as the 27th President of The University of Scranton. Byron Recreation Complex. Free. Call 570-941-7401 or email info@scranton.edu. Sept. 22 4 p.m. Family Weekend Mass in celebration of the Inauguration of Scott R. Pilarz, S.J., as the 27th President of The University of Scranton. Byron Recreation Complex. Free. Call 570-941-7401 or email info@scranton.edu. Sept. 22 7:30 p.m. Performance Music presents Family Weekend President’s Concert: Celebrating the Inauguration of Scott R. Pilarz, S.J., as the 27th President featuring The University of Scranton Concert Band and Concert Choir with special guest Wycliffe A. Gordon, H. ’06. Houlihan-McLean Center. Free. Call 570-941-7624 or email music@scranton.edu. Sept. 27 5:30 p.m. Schemel Forum and Geisinger Commonwealth School of Medicine Collaborative Program: “Music and Medicine: Leonard Bernstein” presented by Richard Kogan, M.D., clinical professor of psychiatry, Weill Cornell Medical College and artistic director, Weill Cornell Music and Medicine Program. Scranton Cultural Center at the Masonic Temple. Reservation required. $25. Call 570-344-1111 or 888-669-8966 for tickets. Wednesdays: Sept. 12, 19, 26 and Oct. 3, 10, 17 6 p.m. Schemel Forum Course: “The Ambivalent Muse: Woody Allen and his Women” presented by Stephen Whittaker, Ph.D., professor of English and theatre, The University of Scranton. Pearn Auditorium, Brennan Hall. Registration required. Fees vary. Call 570-941-6206 or email alicen.morrison@scranton.edu.